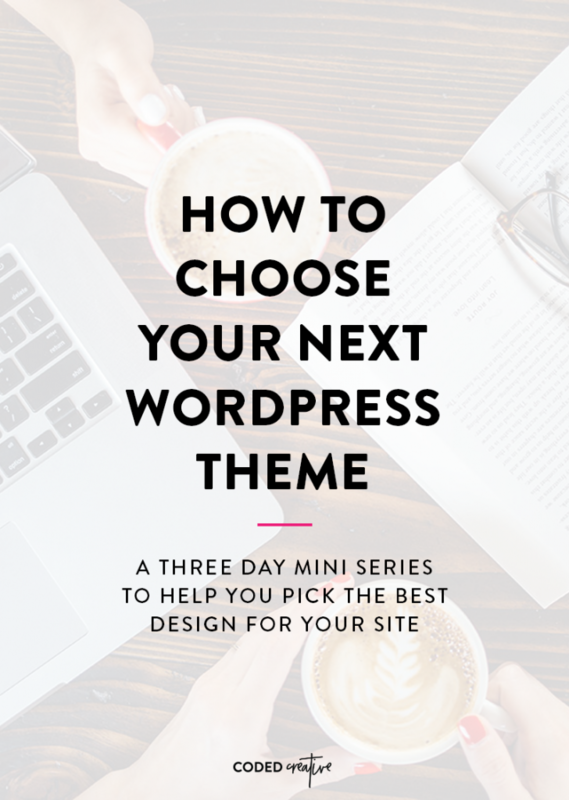 When it comes to starting or growing a blog, choosing a theme is a huge decision. It can be time-consuming, overwhelming, and even frustrating. It’s never fun to buy a theme and get it all set up on your site, only to realize a month or two in that it doesn’t have the features you need, that there’s no support when you run into an issue, or that it doesn’t support any of the goals you’ve set for your blog + business. If you’re starting a new blog or are ready for a refresh for the one you’ve got, enter your information below to get your first lesson right away!